Your search for let us form a ring returned the following results. It is thrilling to see the second of this vibrant 4-book series in print in English. It is every bit as beautiful and as inspiring as it’s companion volume, Autumn, and I expect it will do a great deal to get all of us outdoors and loving our dear world more and more. Spring is the time of creating and cleaning, of building and renewing, and each of the activities suggested here harness our impulses as they connect us and our children with the earth and nature. It’s hard to imagine more exhilarating and inspiring activity ideas than these. So – grab your sweaters, put on your shoes and let’s go outside! Kutzli’s presentation of form drawing is the most complete and dynamic, not to mention detailed, work on the subject available. Not only has he gathered a great deal of information about the nature and benefits of form drawing, but in offering the examples of the various forms, Kutzli has inserted the element of movement and transformation. The forms in Volume 1 represent a full range of forms suitable for the 8 grades (and beyond). 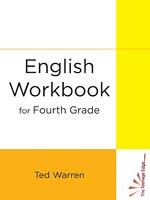 The contents include introductions to the various exercises, verses for form drawers, verses for those studying form and 80 large pages of forms ranging from very simple to complex. This book beautifully covers just about everything I remember experiencing as the mother of three young children. Unfortunately for me, I didn’t have this book to help balance my perspective and offer one creative suggestion after another. If you feel somewhat alone and maybe a bit confused about how to sensitively raise your children, I really think Rahima’s insights will help you find your own positive direction. It would be wonderful if we all arrived at parenthood knowing everything we need to know, but many of us do not – that’s why this book is such a gem. Rahmina warns abainst rushing children through childhood. She advocates a ‘slow parenting’ revolution which will allow children to develop at their own pace, and crucially, will help parents discover confidence in their own ability to parent and enjoy the magical first years of raising a child. 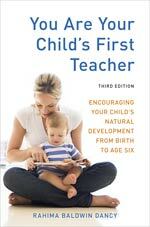 This edition replaces You Are Your Child’s First Teacher – 2nd Edition. 336 pages, 6 1/8″ x 9 1/4″, 2012. Mathematics in Nature, Space and Time brings teachers (and thereby students) lesson after lesson from the Grade 7 Waldorf mathematics curriculum: a tour de force review of geometric construction, from perpendicular angles to generalized spiroids; the harmonies and proportions of nature (spirals, Fibonnaci sequences, Golden angles, more); the nature of numbers themselves (numeric representation, binary numbers, units of measure, set theory, the magic of Pythagoras’ Theorem and Bhaskara’s demonstration). What makes Blackwood’s guide so outstanding is that in addition to really clear and easy-to-follow explanations of every single thing to be covered in these lesson blocks, practically every page has one or more main lesson page, colored drawing, or photograph that will inspire the master teacher and leave a clear, richly laden path for the new teacher. John Blackwood then takes on the 8th grade Waldorf mathematics curriculum and guides us through an exploration of the Platonic Solids with mathematical precision and an artist’s eye for color and form. It is heart-stoppingly wonderful to see and read his exposition of these forms — I’m quite sure Plato must be smiling. He then completes the block with lessons on Rhythms and Cycles that brings alive the relationships of both space and time. You’ll love it. More importantly, so will your student(s). Blackwood’s work is one of the most valuable contributions to the teaching of the Waldorf curriculum to have ever been published. This book is a new combination edition that replaces both Mathematics Around Us and Mathematics in Space and Time. I believe this is one of the most significant articles on what is becoming the true crisis of our time, namely that as each generation comes forth, more and more cultural skills are being lost. Cultural skills are the things we all take for granted in our dealings with other people, things like reading, writing, basic cultural literacy in terms of shared education and background. That is, we used to take them for granted. Now, it seems that each person presents a new puzzle as to which cultural skills they bring with them and which they do not. And what skills they may have that are no longer honored or used in modern contexts. What has become clear to anyone who has been watching the trend lines in education in the Western world is that these basic skills are slipping away – reading and writing are at much lower levels than they were even 20 years ago, and compared to 150 years ago, well, it’s just sad how very much we’ve lost in the way of vocabulary, grammar, and ability to write. As if that weren’t enough, there is now serious evidence that the most fundamental means of communication is also slipping down the cultural slope: speaking and the ability to communicate to others with speech is showing signs of alarming deterioration with each class of children that enters school. A large part of the reason for this devolution, though not the only factor I would hasten to say, is the increasing exposure of very young children to electronic media, recorded voices, electronically amplified voices, etc. Rainer Patzlaff has addressed this issue beautifully, citing not only sound documentation and studies, but offering both by example and by inference a solid picture of why each part of the Waldorf curriculum stands athwart this terrible trend and gives our children what they need to move forward in our culture. The 18 pages of Childhood Falls Silent are some of the most important reading you may ever do. I hope that everyone who buys a copy shares it with every friend they have. It is not a given by any means that cultural skills, once lost, can be easily restored. Quite the opposite, historically. And yet, there is a solution and it is elucidated in this little booklet: human speech spoken clearly by adults, stories that are complex and spoken, movement training that mimics the movements of voice and music, art training that allows things heard to take imaginative form, drama. 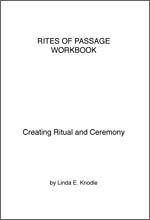 In short, those things that are housed within the world of Waldorf education, whether in the classroom or at home. 8 1/2″ x 11″, 2012.